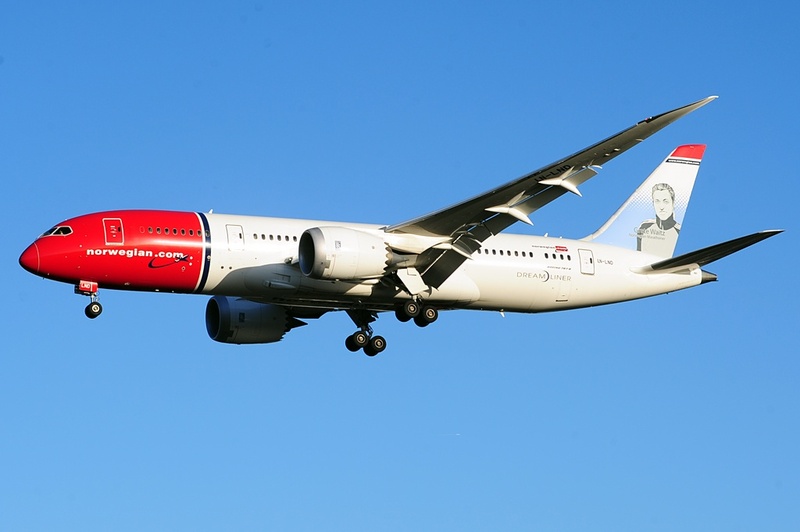 The world’s fifth largest low-cost airline, Norwegian, selected OpenAirlines’ solution to save fuel and reduce carbon dioxide emissions for all its operations. Under the agreement, OpenAirlines will continuously analyze the data of 600 daily flights operated by 157 aircraft, by deploying its eco-flying solution SkyBreathe® Fuel Efficiency. SkyBreathe® integrates multiple sources of data in a single database and computes achieved and potential savings taking into account the exact flight conditions, such as weather, flight path, Air Traffic Control, payload. It generates insights, which are shared with all stakeholders through synthetic and easy-to-read dashboards. Pilots can visualize their actual flights in 3D and get feedback on each fuel saving best practice via a dedicated user-friendly mobile app. In September 2018, Norwegian has once again been rated the world’s most fuel-efficient transatlantic airline by the International Council on Clean Transportation (ICCT). "We are proud to operate the newest and greenest fleets in the world. High fuel-efficiency is not only good for the planet, but also for our business and customers’ wallet. We are pleased to collaborate with OpenAirlines, which have already demonstrated their ability to provide superior fuel savings. With this system we anticipate to reduce our fuel consumption by at least 2%” said Tomas Hesthammer, Director Flight Operations at Norwegian. „We enjoy a close working relationship with Norwegian and are honored to be selected by such a leader in its markets, no less exemplary in environmental protection. Norwegian has reduced its emissions per passenger kilometer by 30 percent since 2008 through investments in newer, more fuel-efficient aircraft. As a forward-thinking company, they have well understood the power of digital transformation to build a fuel-conscious culture across all the operations teams” commented Mr. Alexandre Feray, OpenAirlines CEO. Rewarded by many innovation awards, OpenAirlines is today the leading provider of fuel efficiency solution with the highest number of references in the market. SkyBreathe® is now used by a very active community of 30+ airlines around the world including Malaysia Airlines, Norwegian, Cebu Pacific, Flydubai and Atlas Air. Norwegian is the world’s fifth largest low-cost airline and carried 33 million passengers in 2017. The airline operates more than 500 routes to over 150 destinations in Europe, North Africa, Middle East, Thailand, Caribbean, North and South America. Norwegian has a fleet of more than 150 aircraft, with an average age of 3.7 years, making it one of the world’s youngest and “greenest” fleets. Norwegian has been named the Most Fuel-Efficient Airline on Transatlantic Routes by the International Council on Clean Transportation (ICCT) twice. Norwegian has been voted ‘Europe’s Best Low-Cost Airline’ by passengers for six consecutive years at the SkyTrax World Airline Wards 2013-2018, along with being named the ‘World’s Best Low-Cost Long-Haul’ Airline’ for the past four years. Norwegian employs approximately 10,000 people worldwide. Follow @FlyNorwegian on Twitter, join the discussion on Facebook and keep up with our adventures on Instagram. For more information on Norwegian and its network, visit norwegian.com. OpenAirlines is an international software company based in Toulouse, France. Leveraging a team of airline specialists and data scientists, OpenAirlines offers innovative solutions to help airlines save fuel and reduce CO2 emissions (SkyBreathe®), manage crews (CrewIntelligence™) and operations (OCC Intelligence™).